When is Infinix Mobile Getting its Android 5.0 Lollipop update? Home News Gears When is Infinix Mobile Getting its Android 5.0 Lollipop update? An insider – Therealesttin, a top notch contributor whom we believe works with Infinix Mobility had openly stated in Infinix Mobility Forum that Infinix will be rolling out its updates of Android Lollipop OS on major Infinix smartphones globally. The good news is that Infinix devices will receive Android Lollipop OTA updates earlier August, 2015. 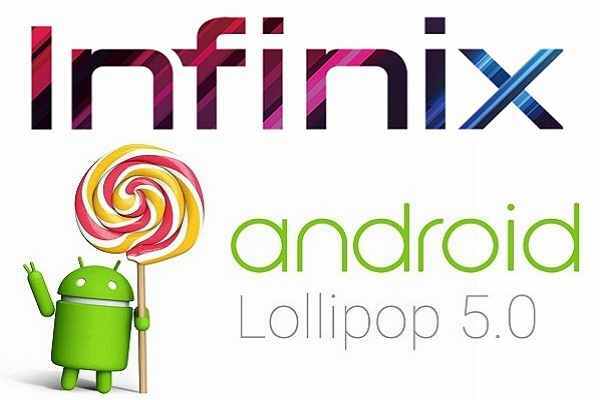 The much awaited lollipop update( Android 5.0) will be coming to Infinix phones in August this year. Our team is currently working hard to make sure this update is released on time, test version in July and final rollout version in August. This is as a result of requests from our fans and customers. We are not really sure of which Infinix phones will be getting the update. But we can boldly say that the company’s latest released devices – Infinix Hot, Infinix Hot Note, Infinix Hot Note Pro and Infinix Zero 2 are going to receive this update during the roll out, as the company MD announced during the Infinix Zero 2 launch event that took place in Lagos, Nigeria.